The holiday season is fast approaching, which means it’s time to start filling up the old streaming queue with various diversions from tense or just overwhelming gatherings. 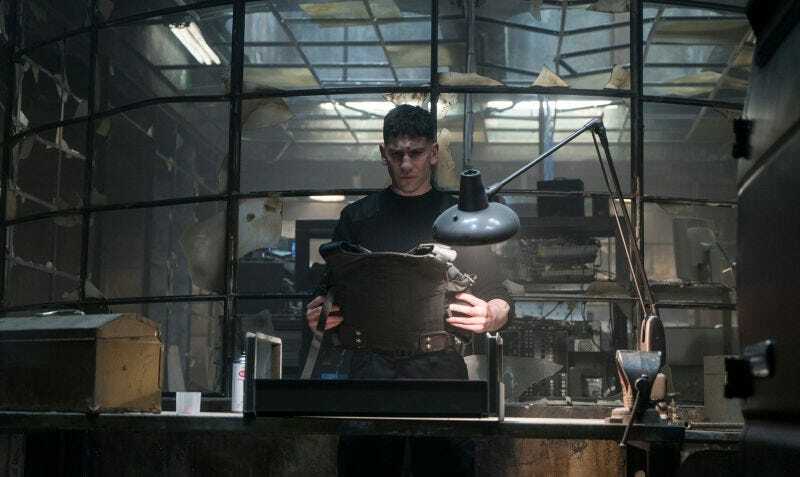 Netflix’s November cornucopia includes the first seasons of Marvel’s The Punisher, which only recently nailed down its release date, as well as Alias Grace, the Margaret Atwood adaptation that’s bound to benefit from The Handmaid’s Tale’s Emmy wins and critical acclaim. You can also watch Jim Carrey talk about becoming Andy Kaufmann in the documentary, Jim & Andy: The Great Beyond, Featuring A Very Special, Contractually Obligated Mention Of Tony Clifton. And for those having a harder time coping with (or without) family, there’s also a new season of Maria Bamford’s exceptional comedy, Lady Dynamite, available November 10. But don’t forget while you’re splitting the wishbone that there must be some departures to accommodate the new arrivals. So prepare to observe Slapsgiving one last time, because How I Met Your Mother seasons 1-9 are leaving Netflix on November 13. The Matrix trilogy is also leaving Netflix, which will put a cramp in your techno-philosophizing style if you don’t have basic cable and are therefore unable to catch one of its many airings.